Posted on October 12, 2010 by Jian Akiraceo. This entry was posted in Ofix and tagged MP3 player, noise. Bookmark the permalink. cant bring a headphone n connect to ur office computer meh? Well… I’m wearing it on one side. 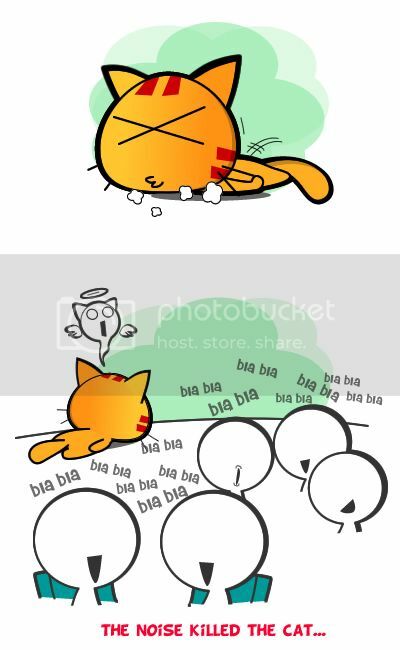 Wanna cough also scared too eh? Hahaha no need so high tech one. 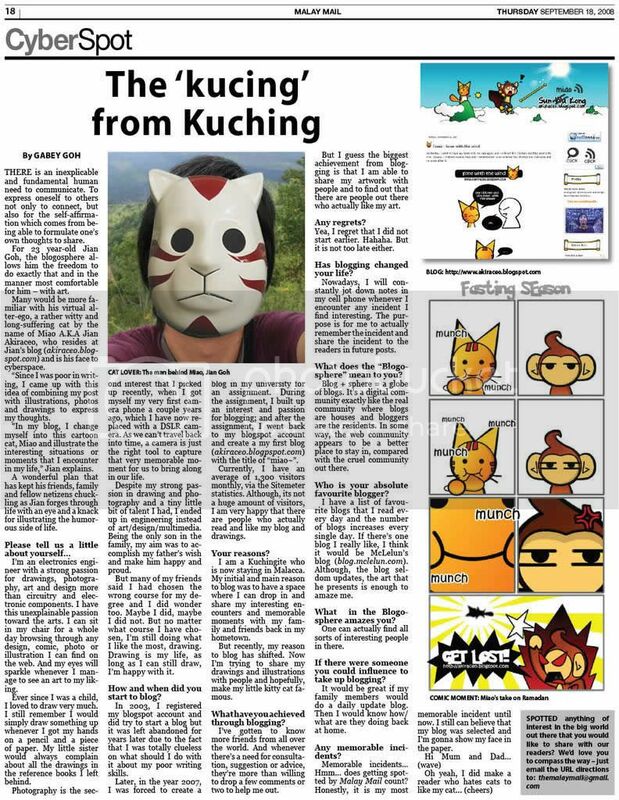 the animated Miao is awesome n cool!! 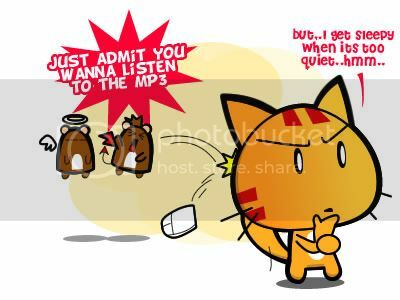 yeah, i hv d habit as well listening to mp3 all d time…. Hahaha….yeah, I can’t stand too much noise too…and eventually I mastered the skills of filtering the noise I don’t want to hear…but sometimes too powerful until my colleague sitting beside me talking to me also I cannot hear….she got damn pissed off with it…..ha ha…she’ll say, “Not again, you muted me :(…” Wuahaha…. Btw, do you get any pains when hearing too long? Lol XD you’re fierce in office?